Three head coaches who have long been advocates of the bunting game, Mike Gillespie of U.C. Irvine, George Horton of Oregon and Jim Morris of Miami (Fla.), share their thoughts on this specialized skill. 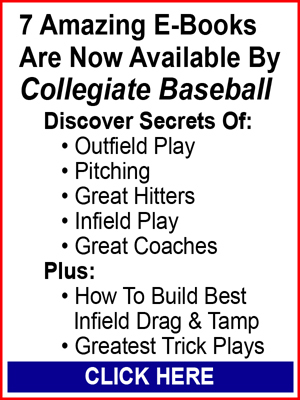 The interview with these three coaches originally appeared in the Oct. 11, 2002 edition of Collegiate Baseball. “We want all of our players to be complete in the offensive phase of baseball,” said Gillespie, who also coached at Southern California prior to moving to U.C. Irvine. “Bunting is a big part of offense for us. As far as the sacrifice bunt, we have our batters cheat up in the box. We want to get better plate coverage and be up in the box to take advantage of the full 90 degrees of the base angles instead of having someone attempt to bunt in the middle or back of the box where a bunt would have to roll across the foul line to be fair. “Something we do which may be a bit different than other programs is that for a sacrifice bunt, we have our hitters show early. They then spin on both feet and have the feet facing the pitcher as the pitcher comes to the set position. Virtually all pro teams and most college teams don’t show until after the pitcher comes to the set position, lifts his leg and breaks his hands. That is when hitters usually commit to a bunt. “But on sacrifice bunts, we do it early. And we do it for a couple of reasons. When we sacrifice, there is no surprise element involved. Just about everybody in the world knows it is a slam dunk bunt. “The next thing we do is have our hitters drop their front foot open just a little bit for balance. Then they go into an exaggerated knee flex so they minimize the barrel from dropping. “Another point to make is that our bunters choke up on the bat about 3-4 inches off the knob with the bottom hand. We want the hands split with the top hand around the label. He cradles the top of the bat in his hand. “We also pre-angle the bat to whatever direction we want the ball to go making sure the barrel is above the knob. It also is important to hold the hands with the bat at the top of the strike zone or even a little higher. We never want our hitters to lift their hands to adjust to a pitch. There is too much risk in that as pop ups result batters will get outs. “No matter what technique someone prefers in bunting, you must have a comfortable flex with the elbows if you are doing a sacrifice bunt or trying to bunt for a base hit. “The single most common error is running too quickly before the ball is struck with the bat. We keep hammering and hammering away at our bunters to not run until they see a downward angle of the ball just coming off the bat. Gillespie said he becomes incredibly frustrated when his bunters run too soon before striking the ball. “We attach all sorts of penalties in good fun to running too fast before a bunt is struck properly. Gillespie said minimizing movement by hitters with the drag, push and other bunts is critical to the success of batters. “We have our guys use more of a sacrifice technique in bunting than you see with other teams which use the traditional drag or push techniques because frankly players can get too cute with fancy techniques. We try to convey to our hitters to always be on the lookout for opportunities to drag or push bunt…but only do this when the defense allows you to take it. You don’t have to be extremely foxy. If a corner guy is way back, that is a great time to do it. Gillespie said he is convinced you don’t have to have players with great speed to have a great bunting team. “I honestly believe you don’t have to be a great runner to be a successful bunter. It has been our experience that opportunities are there for big, slow guys to bunt. If you develop their techniques, they will be safe because defensive players will play back on them. “Over the years, I have had maybe one or two players with incredible speed. Damon Buford (USC player) comes to mind. We just have not been successful in our recruiting to get that type of player with incredible speed. But we have still been pretty successful with the bunting game. “We had a player named Casey Burrell, a 6-foot-3, 230 pound guy (USC) who was basically a base clogger. As a sophomore he hit 7th in the lineup. But the following year he was the 3-4 hole hitter and had plenty of power. But people didn’t realize he had 17 drag bunt base hits as a sophomore. He never had a push bunt base hit. But he had the perfect technique to drag. Third basemen almost always played him back. But he had the ability to bunt a tick firm so the pitcher couldn’t make a play. Gillespie said Hall of Fame Coach Wally Kincaid from Cerritos College always had a few big, slow guys who could drag bunt. Gillespie said his teams work on bunting in several different ways. 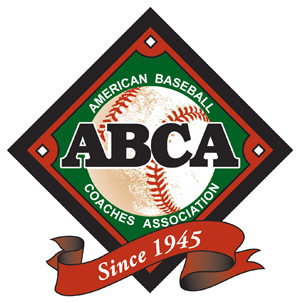 “One way we practice bunting is by placing a cone where we want the balls to go or make a small alley lined with bats from home plate to the area the ball must travel or even throw a hat out there. Then we will pick our best two bunters and have them choose teams. Team X will bunt five to 10 drags or pushes and keep score. Then the other team will follow. The winners might get a Popsicle while the losers might pick up gear. Or the winners might be excused from running at the end of practice. We make it fun for the guys. “We bunt every day, and typically bunting is among the first two things we do after stretching. “Another thing we have done is establish groups of three and fan them out foul pole to foul pole. In those groups you have a bunter, thrower and shagger. One day we may have 15 drags or 5 drags, 5 push bunts or 5 squeezes…whatever. We devote 15 minutes to it. We have the hitters back up to the warning track and have the thrower pitch to him. The problem we have encountered is that the pitcher usually doesn’t throw hard enough from 50 to 60 feet away. We are always on them to throw hard to make it game-like. Bunting against soft pitching just doesn’t work. Gillespie said the one problem he has had with players fanning out across the warning track foul pole to foul pole in groups of three is that coaches can’t monitor every group with every pitch. Gillespie said no matter how much emphasis or how hard his teams work on all phases of bunting, in reality there are only a few guys who are extremely skilled at this craft. “Not everybody develops the ability to bunt well in games. And that’s frustrating because we really believe in it. There is a significant place for it in baseball. I have found that there usually are two or three guys on any one team who can drag and two or three guys who can push bunt. “Wes Rachels was the absolute best offensive player in all phases of the game I have ever seen in 36 years of coaching. He was a grand master at executing all the skills of offense such as the drag, push, sacrifice, squeeze, hit and run, slash…you name it. Gillespie said Jerry Weinstein’s teams at Sacramento City College were noted for executing the slug bunt. Oregon’s Horton (who also has coached at Cal State Fullerton for many seasons) said bunting is one of the key components of their offense. “Bunting is one of the first lessons our new players learn,” said Horton. “We want kids to buy into it early in our program. I am not a gadget type of guy with different bunting gimmicks which might be on the market. We teach the fundamentals from the get-go. 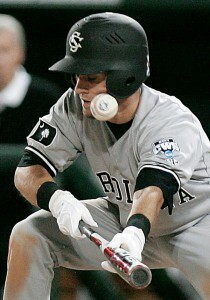 Batters must have the proper angle of the bat aimed toward the target they wish to hit. The barrel of the bat should be slightly higher than the knob. “The term we use a lot is catch the ball with the bat. We want pace to be taken off the ball on a sacrifice bunt. Most hitters naturally stab at the ball with their bat. I have found that how firm a batter grips the bat with his top hand is important. Through repetition, hitters can become superb bunters. “Sometimes a JC or high school guy will come into the program as a great bunter. We don’t touch those guys…only add to their skills if we can. “I like our bunters to have their bottom hand about three inches from the knob. The top hand slides up to control the position of the barrel. A good visual cue is to tell the batter to place his top hand on the barrel of the bat so that it is almost like a chair with the thumb serving as the back support of the chair. You pinch the bat with a bent index finger and the thumb with all other fingers tucked safely away. “Sliding the top hand to the barrel must be done quickly so the bat can be turned at the correct angle toward the target. The bat is placed at the top of the strike zone as an aiming device. Any pitch above the bat is a ball, so bring the bat back. Anything below should be bunted as long as it is a strike. It is crucial to bunt only strikes. Horton said he uses orange cones to designate where hitters must bunt the ball. Miami’s Morris said the bunting game became an important weapon for his team after the loss of so much power off his 1998 team which hit 139 homers in 63 games to rank No. 1 in Hurricane history. “Even though we still hit over 100 home runs last season (2001), we went back to the old Ron Fraser style of game at Miami with great bunting and a solid running game. Morris said his players must be committed to the bunting game. “They must understand bunting is an important facet of offense. Often times you will have too many guys who won’t give a good effort when you practice bunting and don’t understand its importance to winning baseball. It is more than a technique. It is an extremely important part of offense. “As a coach, you must set aside time every week in practice to work on it. People will find it interesting last season that we never had traditional batting practices on Thursdays prior to a three-game weekend series. We really concentrated on the bunting game every Thursday. 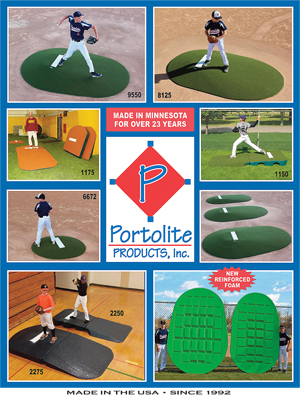 “Our practices on Thursdays consisted of having 16 hitters break into two groups of eight each. In 20 minute segments, one group would work on the field while the other would work in the cages. Then they would flip flop. All of the hitters would work on sacrifice, drag and push bunts in both the field and cage setting and strive to be mechanically sound by doing things the right way. “By spending this amount of time on bunting in practice, it shows the hitters right away the importance you place on bunting. Morris said his players work hard at making precision bunts. “With runners on first and second and an obvious sacrifice bunt is called for, our hitter is taught to bunt the ball a little more firmly so the third baseman handles the ball. With nobody on and our guy dragging a bunt, we want the ball to be deadened and stopped, if possible, near the foul line. Morris said the more actual game experience players get as far as laying down bunts in game situations the better. 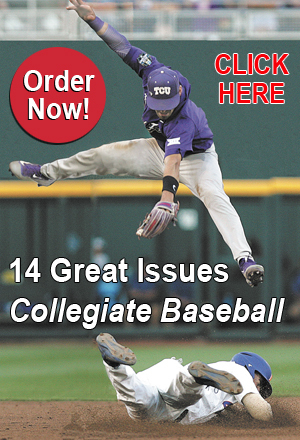 To obtain a copy of the Oct. 11, 2002 issue of Collegiate Baseball or subscribe, CLICK HERE.